64 in (1626 mm) max. 118 in (2997 mm) max. 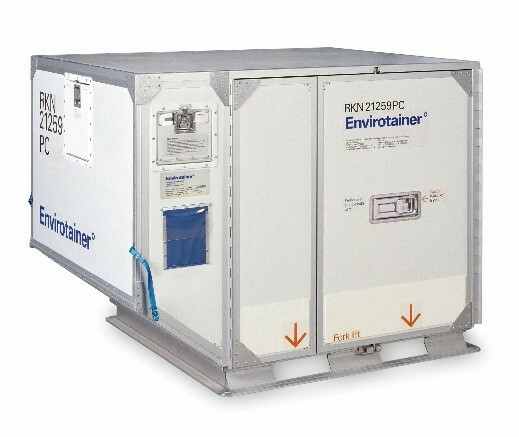 More information on Envirotainer's website here. Maximum gross weights are the maximum that the ULD can hold, however the weight in general will be limited by the aircraft type, and the position where the ULD will be loaded on within the aicraft. Volumes are reported following SAE AS1825, assuming a square (non-contoured) pallet.